Doesn’t matter if it’s your best friend’s, cousin or a coworker’s baby shower – you don’t want to be that person whose gift will be stored in the never-to-be-used-things room, or even thrown away. You’re looking for unique, one-of-a-kind statement present, or at least the one that will ease things up for the parents and they’ll be able to make use of it. And the good thing is that parents need a lot of things for the baby, so there’s something for all the guests to purchase. Do you go for cute, or explicitly practical? How to combine budget-friendly, stylish and useful? Well, stop worrying about being clueless about the whole baby enterprise. 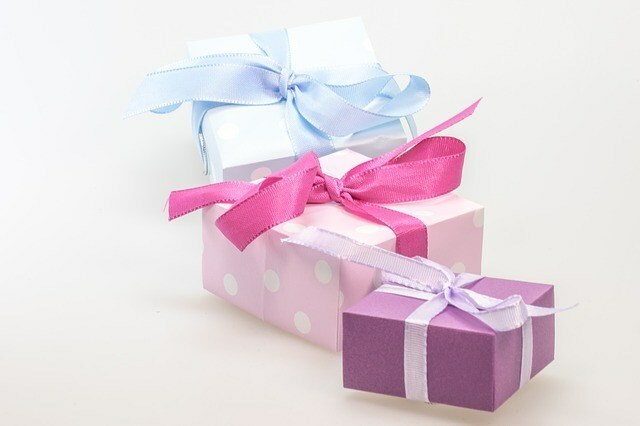 Below we listed all the gifts which moms to be and those that already are have said they wanted the most for their baby showers. So pick any of them and you’ll be remembered as a great gift giver! What is a better way to show love for your friend and her future baby than to add your own personal touch with DIY presents? It can be a baby sleeping sign, button monogram, or crocheted sweater or blanket. Whatever you’ve made yourself will make you a thoughtful and caring friend. Especially if this is not their first child, the parents are most probably sick of the myriad of useless or repeating gifts. In this case, you can’t go wrong with gift cards or certificates which will come in handy for purchasing baby wipes, diapers, and other necessities when short on cash. If you want to celebrate the individuality of the baby, you should go for timeless and chic options as a personalized lettered spoon, personalized musical snow globes or engraved bracelets. It will stand out from the rest of the gifts and it can still be kept and cherished by the kid when it grows up. Going to a quality baby clothing store to get a baby shower gift is always good, since babies are babies. As soon as they enter the world, things will get dirty, and they will need ten outfits a day. Onesies are a safe option, and accessories like baby animal slippers or hats with ears can be a super cute combination of toys and clothing. Photo albums may sound cliché, but they’re keepsakes the mother will treasure forever. Help parents keep track of the glory and growth of their baby with photo journals of its first meal, word, and step. There are never enough books. Help books, storybooks, cartoon books… These can all be of great value and entertainment for both the parents and the new-to-the-world crawling humans. Books also allow you to write a personal note on the first page and turn it into a memory they want to keep as well. It may sound stupid, but actually, most parents say this is the most practical and useful gift. And let’s throw this idea out there (it’s been tried out already, and it was a success); if you’re the best friend of the mom-to-be, throw a diaper party instead of a shower party! It will definitely challenge people’s opinions on baby showers and provide future parents with diaper supplies for first six months at least. This will make you the most considerate of the mom’s mobility after having a baby of all guests. A portable bassinet is a 3-in-1 creation: a combination of a crib, changing station and diaper bag. Traveling with the baby won’t be as difficult and annoying as it would be with having to take bulky baggage everywhere. Of course, you should not limit yourself with the list above – especially if you’re close with the mom, you’ll certainly have plenty of other options as well that could come to your mind and won’t be just another version of what she’s already got or will get. However, after checking out these suggestions, we’re sure you’ll be good to go for many baby showers to come, and will be able to meet the wishes of many moms-to-be, whether it’s their first, second or fifth child.